Stamford Bridge side draw up tempting January offer for Goodison Park starlet. Chelsea boss Jose Mourinho is keen to land Everton starlet Ross Barkley and will hope that an offer of £30m plus the addition of a player into the bargain will entice the Goodison Park side to sell the midfielder. The 20 year old England international is considered one of the hottest prospects in European football and having scouted the Toffees star for some months the west London side will table an initial bid in the January transfer window. Chelsea have developed a strong working relationship with the Merseyside outfit having sold Belgian forward Romelu Lukaku to Everton this summer, after a successful loan spell and also handed Ghanaian Christian Atsu to the club on a temporary basis for 2014/15. Mourinho is confident of securing the signing of Barkley, who he sees as a long term replacement for Chelsea legend Frank Lampard, and one imagines the chances of persuading the youngster to leave Everton will increase significantly if Roberto Martinez’s side continue to struggle to mount a genuine push for a Champions League berth. Some sources claim that the Everton’s valuation of Barkley is as high as £50m but Mourinho feels that a strong cash offer along with the inclusion of a top talent would be enough to convince chairman Bill Kenwright to cash-in on the club’s prized asset. Mourinho will offer Martinez the choice of the aforementioned Atsu, Egyptian winger Mohamed Salah or attacker Lucas Piazon, though the Brazilian is on loan at Eintracht Frankfurt until the completion of the season. 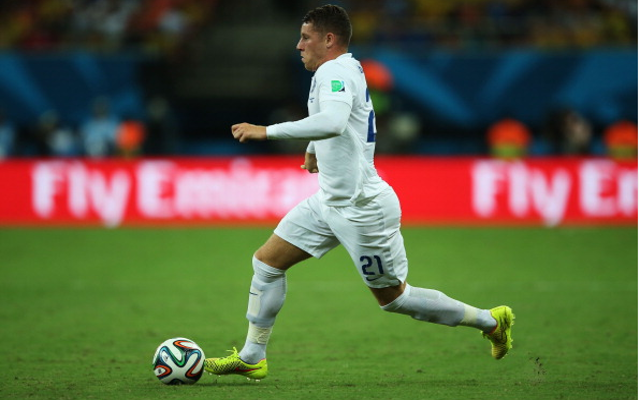 Barkley has made 56 appearances for Everton and already has nine England caps to his name and was part of Roy Hodgson’s 2014 World Cup finals squad.